Today a renewed and vigorous scholarly quest for the historical Jesus is underway. 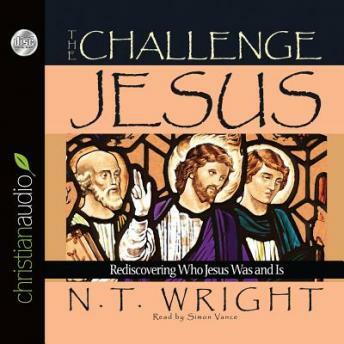 In the midst of well publicized and controversial books on Jesus, N. T. Wright's lectures and writings have been widely recognized for providing a fresh, provocative and historically credible portrait. The Challenge of Jesus poses a double-edged challenge: to grow in our understanding of the historical Jesus within the Palestinian world of the first century, and to follow Jesus more faithfully into the postmodern world of the twenty-first century.